It shall be the ongoing mission of the Beech Grove Greenscape Commission to assist and advise residents and municipal bodies on how to best maintain and grow the city’s urban forest. The Commission will serve as a resource to educate and guide the public and private sectors on the selection, planting, protection and maintenance of trees and other flora within the city. 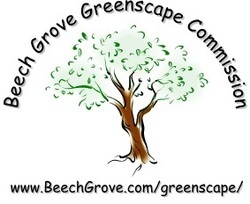 The Beech Grove Greenscape Commission was established by Resolution No. 5, 2004 with Special Ordinance No. 8, 2005 being the Tree and Flora Ordinance and Special Ordinance No. 2, 2008 being the Term of Office Amendment. In May of 2013, the City Council approved General Ordinance No. 4, 2013, which incorporates all the provisions of the prior ordinances into the City Code of Ordinances. The Greenscape Commission meets on the third Monday of the month, 5:00pm at the Hornet Park Community Center. For the months of January and February, meetings will be held on the third Tuesday.